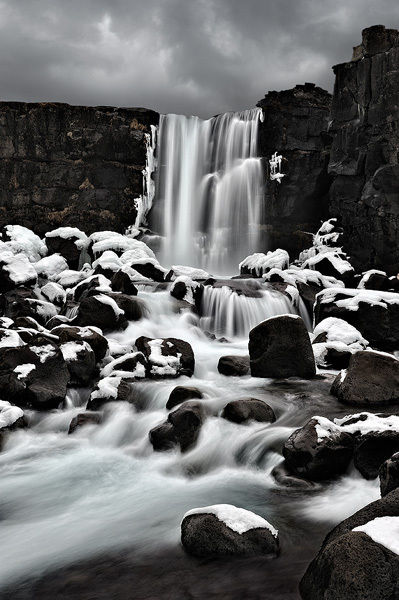 One of the many, many waterfalls in Iceland, but one of the lesser known ones. It was cold, it had just been snowing, and everything was very icy and slippery. The spray from the waterfall made it very hard to get a good shot, especially since I had to shoot with a relatively small aperture to get the depth of field I needed - water drops on the lens showed up really fast. I ended up covering the lens and waiting for what seemed like eternity for the wind to change directions, and then I quickly took a few exposures.